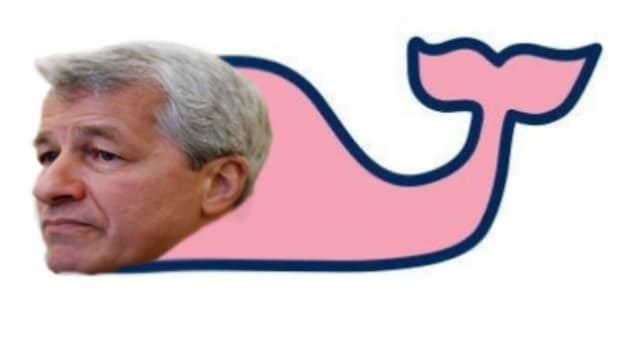 There are a lot of things that, if you wanted to, you could legitimately blame on former JP Morgan employee London P. Whale. The $6.2 billion trading loss the bank incurred over the summer. Ina Drew getting fired. This awkward phone call. Some stuff you can&apos;t pin on him, though many have tried: male pattern baldness, the bombing of Pearl Harbor, Apple Maps, Lehman Brothers&apos; bankruptcy, tempting as it may be. The former JPMorgan Chase & Co trader known as the "London Whale" was not responsible for Lehman Brothers Holdings Inc&apos;s bankruptcy and should not be dragged into an $8.6 billion lawsuit accusing the largest U.S. bank of causing it, JPMorgan said. In a Wednesday filing in Manhattan bankruptcy court, JPMorgan said Lehman knew from documents it produced itself that the trader, Bruno Iksil, had nothing to do with allegedly mismarked derivative trades about which Lehman wanted to take his deposition. JPMorgan also said Lehman and its unsecured creditors committee, which also seeks Iksil&apos;s testimony, had pointed to nothing that shows the bank&apos;s Chief Investment Office had any role in the collateral requests at the center of Lehman&apos;s 3-year-old lawsuit. Moreover, getting Iksil involved wastes time and money, JPMorgan said, particularly in light of statements by former U.S. Treasury Secretaries Timothy Geithner and Henry Paulson that the collateral requests did not cause Lehman to fail. "It is readily apparent that the only real reason for plaintiffs interest in taking Mr. Iksil&apos;s deposition is that he has been in the news," JPMorgan said.